Indian Overseas Bank, Chennai defeated Vijaya Bank, Bangalore 68-63 in the men’s final while South Western Railway from Hubli took the women’s title after beating Kerala State Electricity Board in an evenly fought final with the score of 63-60. In the men’s final, IOB which trailed 29-32 at half time came back strongly in the second half to beat Vijaya Bank 68-63. 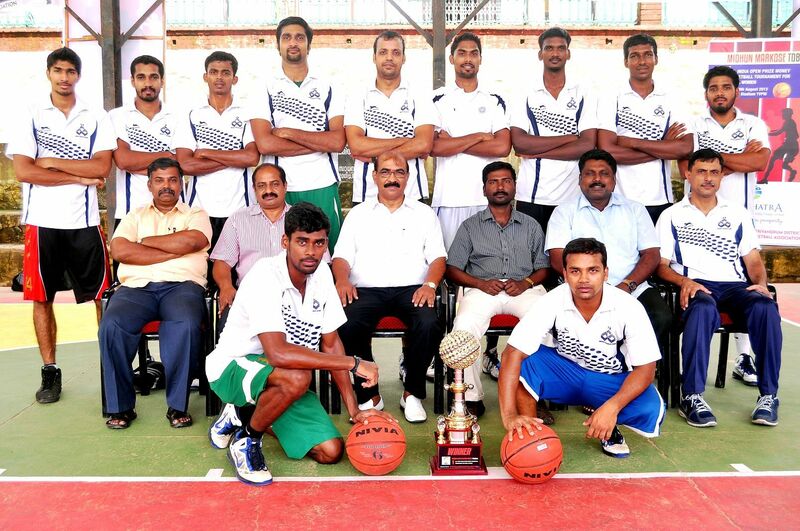 For IOB, Aravind was the top scorer with 19 points followed by Prasanth with 13 points. For Vijaya Bank, bulk of the scoring was done by another Aravind who contributed 21 points. 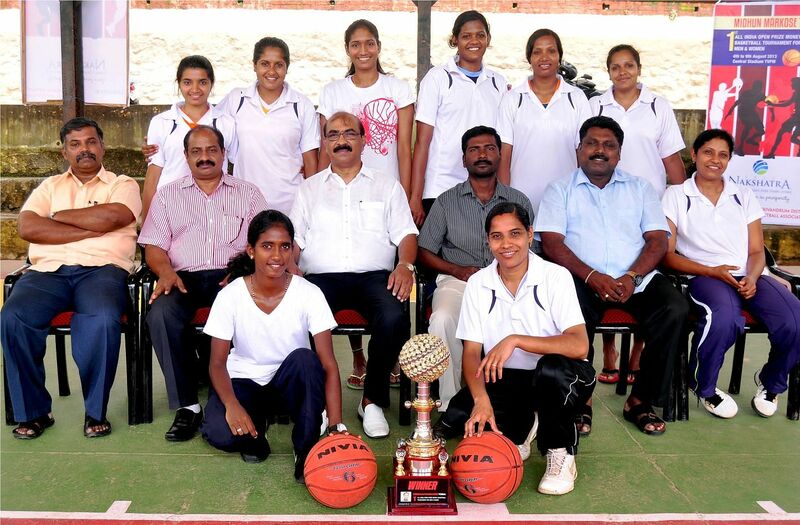 In the women’s final match, the SWR Hubli side which had trailed 28-19 at half time went on to beat KSEB. Experienced International Savitha top scored for the winners with 24 points. For KSEB, Merlin Baby was the top scorer with 19 points and young Grima—who was fouled out of the game at the end of 4th quarter—along with Ashey Mathew, contributed 12 points for the losers . Malayalam actress Gouthami Nair and international footballer Joe Paul Anchery were among the celebrities who were present for the women’s finals. Customs and Central Excise took the third spot and grabbed Rs 15000/- as prize money as they defeated Indian Army, New Delhi 88-64 after leading 44-36 at half time. Customs, which had lost to Indian Army in the league round, thus avenged their defeat by playing as a cohesive unit with 6 of them making double figures in scoring. Eudric Perera, Basil Philiph and Monish Wilson scored 14 points each and were very well supported by Subash J Shenoy with 13 points. For Indian Army, it was Gopal Ram who came up with 19 points followed by Suresh Kumar making 16. Midhun Markose— the former student of Mar Baselios Engineering college in whose name this tournament was organized— was remembered on centre court just before the start of the men’s final. Incidentally, the day also marked Midhun’s 4th Death Anniversary. There was a candle light vigil on the court, where his father and siblings were also present.